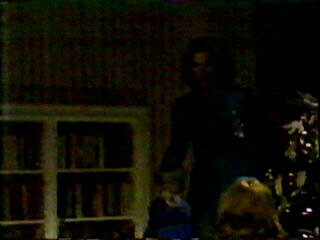 Kim brings Andy downstairs to the party following David and Ellen Stewart's Christmas re-wedding in the very early 80s. He pointed across the room and called out "Betsy!" then ran over to her. 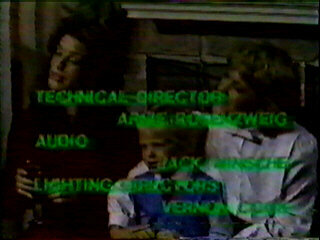 The next time we saw Andy in this episode was during the credits. 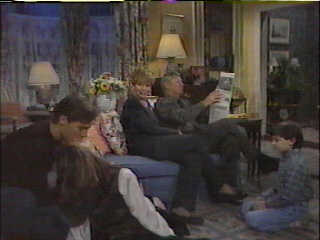 He sat on Betsy's (Meg Ryan) lap, next to Miranda Marlowe. 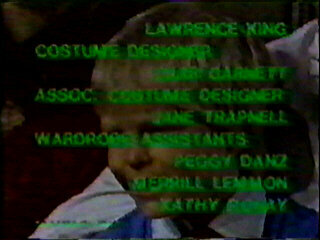 Andy during the credits of the Christmas show from 1981 (?). 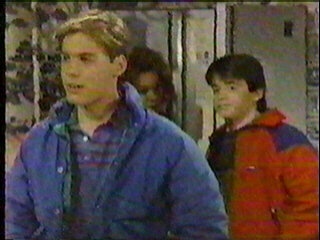 Andy and Paul at the Hughes house during the Thanksgiving show from 1986. Andy watches as Bob raises the flag. Andy tells Paul that he should have a drink with him, so he won't worry so much about James. Paul declines the offer for a drink. Christmas again and Andy's drunk, again. Andy married Courtney Baxter on Christmas in 1992. Courtney's at Bob and Kim's playing a game with Chris on the floor when Andy comes in. He asks her where the necklace he gave her is and she tells him they'll talk about it later. When Andy won't drop it, Courtney says they need to rethink the necklace (she thinks it's too expensive). Andy and Courtney at Kim and Bob's after they're married. Chris, Kim, Bob, Courtney, and Andy at Kim and Bob's. They were talking about Courtney liking her in-laws and being comfortable calling Bob and Kim "dad" and "mom." Just before Andy took Chris upstairs to read him a story and put him to bed.